Are you a child eagerly waiting for the tooth fairy to come replace your missing tooth with a shiny new coin? No? Well then in that case, having one or missing teeth is not so wonderful. In fact, missing teeth can be more than just inconvenient—they can lead to serious oral and general health problems. For the sake of your health and so you can speak, chew, smile and laugh comfortably, consider dental implants. With dental implants, Dr. Barry Holden has restored healthy and beautiful smiles for people located around his two offices that are conveniently located in State College, PA, and Williamsport, PA. When you have missing teeth, you have a number of tooth replacement options, including dentures and crown and bridgework. The advantage that dental implants have over these other choices is that an implant replaces a tooth from root to crown. The implant is actually a small titanium post that Dr. Holden surgically sets in the bone beneath the open socket of your missing tooth or teeth. As you heal from this procedure, the post and bone fuse together in a process called osseointegration. Fused together, the post and bone mimic the relationship between a natural tooth and your jaw. Furthermore, this union helps avert the bone deterioration that often happens with missing teeth. Dr. Holden and his staff will work with you and your general dentist to coordinate the placement of a custom crown to complete your dental implant. Without missing teeth, you can enjoy all the benefits of a full smile. If you would like to learn more about dental implants, then call the office of Dr. Barry Holden. With offices in both State College, PA, and Williamsport, PA, we conveniently restore smiles for people in Bellefonte, Lewistown, Huntingdon, Clearfield, Lock Haven, Bloomsburg, Altoona, Danville, and the surrounding areas. Dr. Holden is a board certified dental implant surgeon with over 28 years experience using only the best implant materials, including systems by Biomet 3i, Nobel Biocare, and Zimmer Dental. Schedule an implant consultation appointment with Dr. Holden today. Dr. Holden is a trusted dental implant specialist with two conveniently located offices in State College and Williamsport, PA. Dr. Holden provides expert dental implant and periodontal services throughout State College, Williamsport, Bellefonte, Lewistown, Huntingdon, Clearfield, Lock Haven, Bloomsburg, Altoona, Danville, and the surrounding communities. 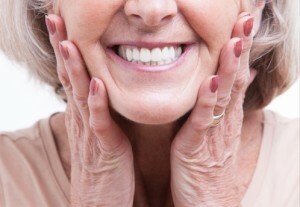 Why Choose Dental Implants to replace your missing teeth? Dental implants can replace a single tooth, multiple teeth or all of your teeth. Dental Implants are intimately connected with the gum tissue and underlying bone in your mouth. Dr. Holden has more than 28 years of experience working with general dentists to ensure patients have the highest quality dental implants that provide lasting beauty and function. If you’re ready to restore your natural smile with dental implants , choose Dr. Barry Holden. To get started, schedule your dental implants consultation appointment with Dr. Holden at either his State College or Williamsport office. Dr. Holden proudly restores smiles daily throughout State College, Williamsport, Bellefonte, Lewistown, Huntingdon, Clearfield, Lock Haven, Bloomsburg, Altoona, Danville, and the surrounding areas.